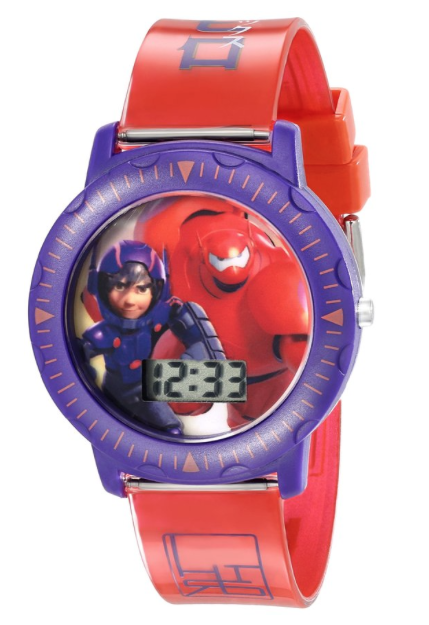 Disney Kids' Big Hero 6 Watch With Red Band Only $9.99! You are here: Home / Great Deals / Amazon Deals / Disney Kids’ Big Hero 6 Watch With Red Band Only $9.99! Disney Kids’ Big Hero 6 Watch With Red Band Only $9.99! My grandchildren love Big Hero 6! Since my grandson is learning to tell time, this watch with Hiro and Baymax are ideal to keep him interested! This watch with quartz movement and digital display is perfect for the little guys! Get the Disney Kids’ Big Hero 6 Watch With Red Band Only $9.99!